The Milwaukee MA840 refillable polarographic probe has an oxygen-permeable polytetrafluroethylene (PTFE) membrane sensor for measuring dissolved oxygen (DO) levels in aqueous solutions. 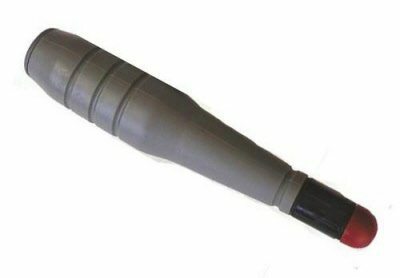 This is a replacement probe for the Milwaukee MW600 and Mi605 meters (both sold separately). The probe contains a platinum cathode and a silver chloride anode which a meter polarizes so that oxygen passing through the membrane can be measured to produce stable, accurate readings. The probe has a reinforced plastic body for durability. The probe is 10" long with a tip that tapers from 1-1/2" to 3/4" in diameter, and it has a 3m cable with a 7-pin Deutsches Institut für Normung (DIN)-compliant connector for attaching to the meter.